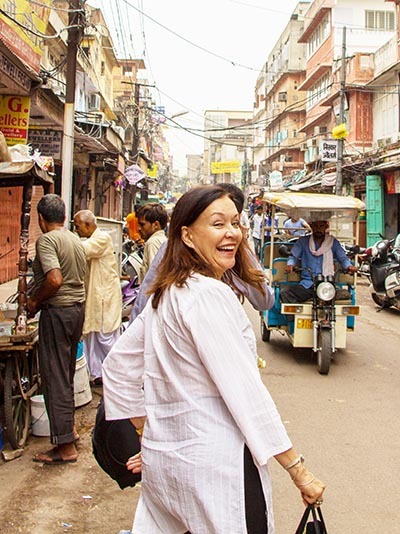 When Bibiana Dykema took her first trip to India around six years ago, she instantly fell in love with the country. 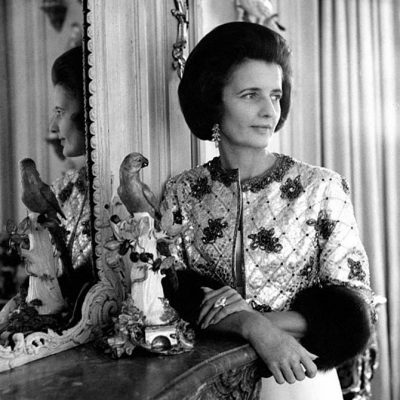 The Texas-based architect was enchanted by the people, enamored with the textiles and totally blown away by the jewelry. She purchased fabrics for various interior design jobs and found a craftsman in Jaipur to make some traditional Indian gold over a wax core bead necklaces to give her friends. When Bibiana told her traveling companion, Ashvin Patel, a client of her architecture firm and native of Rajasthan, about the enthusiastic reception to her finds he said, “Why don’t we launch a business?” Virtually on the spot, the twosome as well as Ashvin’s son, Shital, got underway with their passion project. “Ashvin has an entrepreneurial spirit and I have always loved creating and selling things,” explains the dynamic Bibiana. “When I was young, I would make cakes in my Easy-Bake Oven and sell them to my brothers and sisters.” The timing was also perfect for Bibiana personally. The architecture firm she runs with her husband John Dykema was humming and her two sons were grownups. At first the company was named Curri. They sold gorgeous tunics and jewelry manufactured in India and designed by Bibiana. 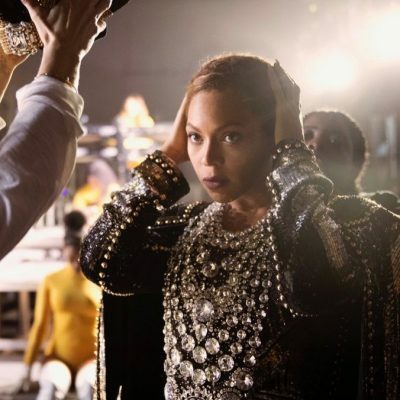 “I adore working with the vendors and artisans,” she explains. 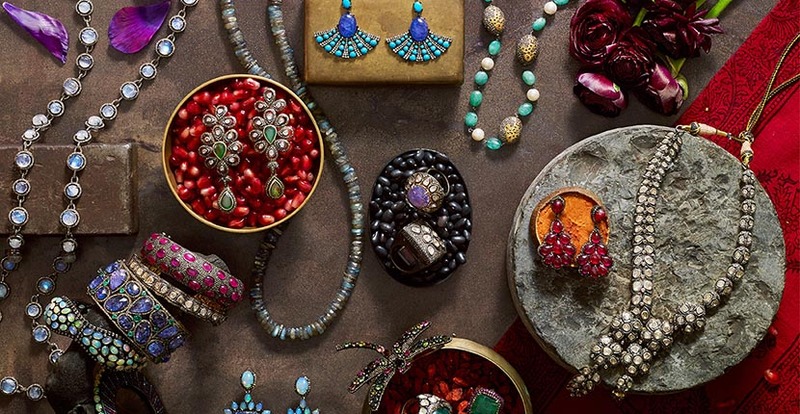 After a few years, however, Bibiana realized “the jewelry was calling for me more than any other category.” Bibiana and Ashvin rebranded as Modern Moghul last year. Overall the collection is a seamless East meets West blend of Moghul style motifs with a twist, rendered in the vibrant colors Bibiana is known for in her architectural work. It is a semi-fine collection mixing precious and semiprecious gems with rhodium plated silver and gold vermeil settings. “I like the idea of my jewelry being accessible to women of all ages,” explains Bibiana. The price range of the vast Modern Moghul collection starts around $250 for a delicate pair of stud earrings and goes up to around $15,000 for a bold diamond and rhodium plated sterling silver necklace. 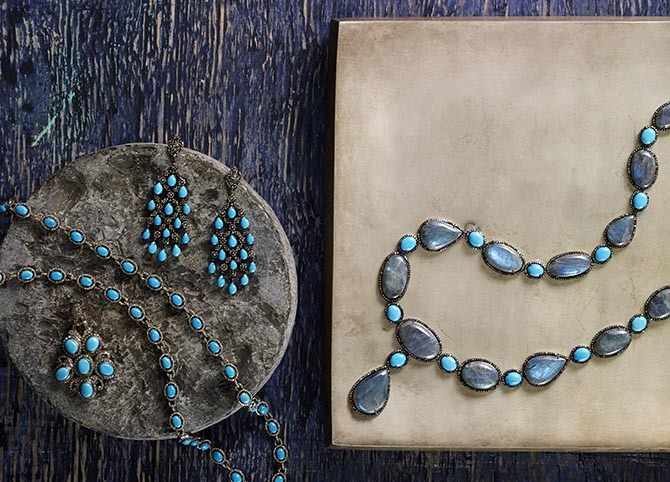 Most pieces are one-of-a-kind, making them special treasures for any jewel box. 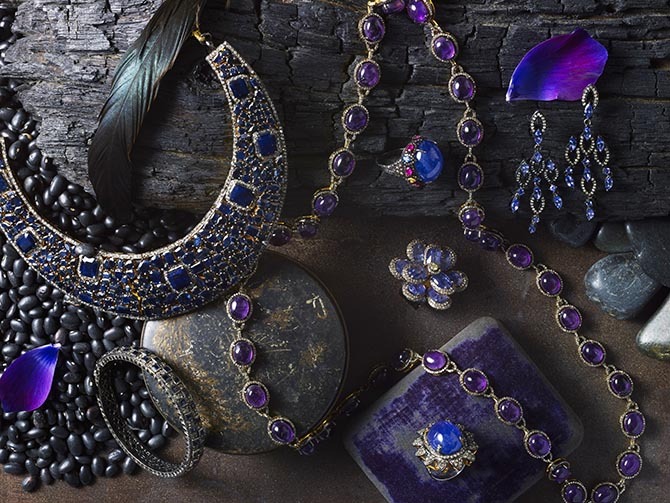 Read more about Bibiana Dykema’s Modern Moghul collection in the Q & A below. I think it’s so great that your passion for India comes through in the name of your company and the jewelry. Tell me about your overall design sensibility. 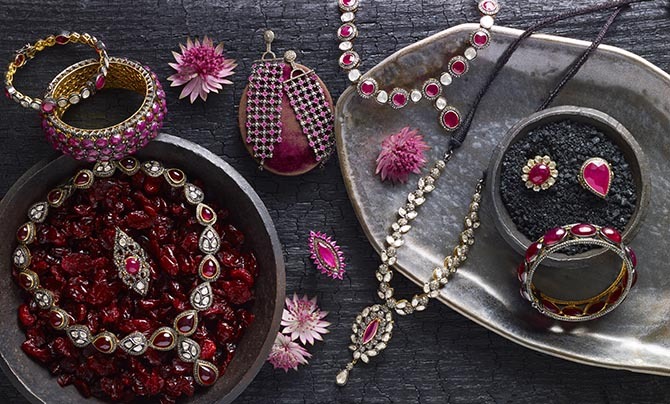 I love the Moghul aesthetic, the rose-cut diamonds, blackened silver and gold interiors of jewels. It resonates a spirit of travel and a sense of history. There is a patina to the hand craftsmanship of the style that also makes big pieces very wearable. I tell my clients all the time, you can wear big rose-cut diamond earrings every day. These are not jewels you stick in your safe. Right now, I have on twelve bracelets. When I went to a wedding in Italy this summer, I packed loads of jewelry. It is jewelry to enjoy. What’s the process of working with your craftsmen in India? I go to India once a year for two weeks and spend 10-hour days in the studio in Jaipur. I love it. We work together and learn from each other. I have my designs and they always make great contributions to the work. And, of course, it is the modern world, we are in constant communication throughout the year. I send them designs and they give me manufacturing notes. You have many different collections within Modern Moghul. What inspires them? 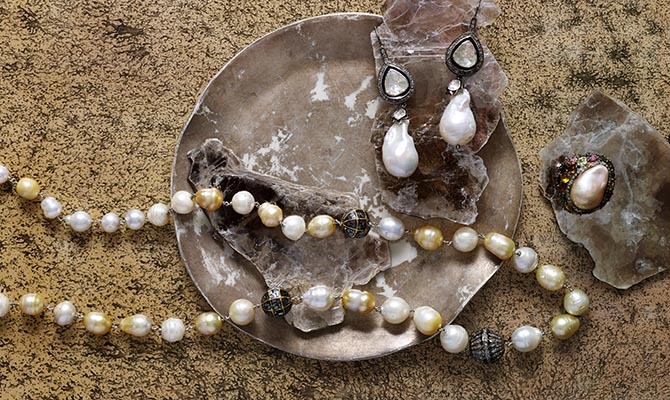 Many of the collections revolve around certain stones. Rubylicious is the new collection. Green with Envy is emeralds. Rose-cut Renaissance is diamonds. 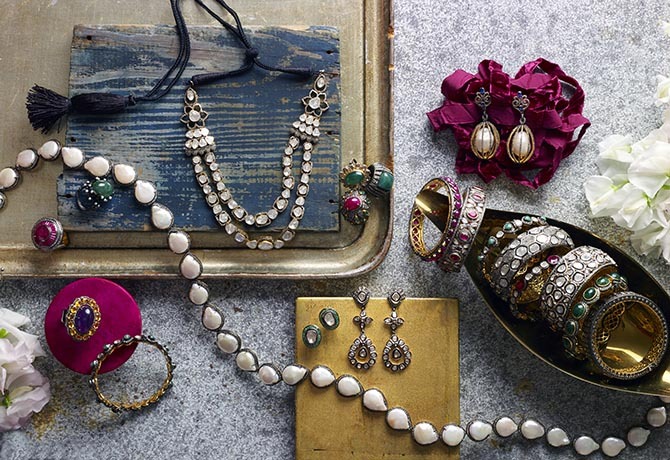 There is also Opalescent, Turquoise and Diamonds and Baroque Extravagance which is pearls. Does your background as an architect influence your work? The geometry in some pieces is a reflection of my architectural background. I also love organic forms related to nature. I grew up on the Gulf Coast so the ocean is part of my childhood memories. All of it is really about the joy of jewelry. *Story produced in collaboration with Modern Moghul.